A recent tweet from President Trump’s prospective 2020 campaign manager, Brad Parscale, was about, of all things, the 5G wireless network. Yet while the tweet didn’t have anything to do with presidential politics, it did touch upon presidential policy — and the future of our country. The policy matter is the current scramble by the phone companies to build 5G networks — that is, the fifth generation of wireless communications. Someday soon, 5G will help carry just about everything digital, including voice, e-commerce, and even national-security secrets. So today, to claim a piece of all that business, companies such as AT&T and Verizon are spending billions; they hope to have at least some of their respective 5G networks available by the end of this year. A great 5G network, in my personal opinion, consists of an open wholesale market with a privatized company that isn’t a carrier. Government doesn’t own or operate it but does provide the spectrum. An open bidding process for bandwidth! No more dead spots! If we unpack those words, we can see that Parscale seems to be calling for a big shift in 5G strategy. When he wrote that the builder ought to be “not a carrier,” he was seemingly excluding the aforementioned AT&T and Verizon, as well as other carriers, such as Sprint and T-Mobile. And when he referred to “a privatized company,” that would seem to suggest that he had in mind some sort of public or public-private entity that would then be privatized — that is, sold off to investors. In other words, while Pascale has the same desire to see 5G succeed, he has a much different model in mind for getting there. We can note that Parscale was careful to stipulate that this was merely his “personal opinion.” And yet Parscale is not just any person on Twitter; in addition to his pending 2020 duties, he was also a top staffer in Trump’s 2016 campaign, overseeing digital strategy. So in addition to being fluent in tech issues, he’s tightly connected to the powers that be. We have great industries that are competing for this. I think we should keep it open, we should keep it competitive and we should make sure that we don’t fall in line to one single system. I worry about that. We can see that Gardner seemed opposed to just about every point Parscale made. And Gardner was joined by others, all supporting the ongoing 5G effort, even as it races along to completion. 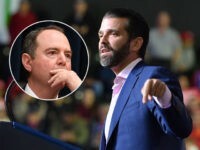 So was this just a case of Parscale venting? After all, that’s what Twitter is known for! Yes, it’s possible that this was just a “vent-tweet” from Parscale. Yet it seems to this observer that more is going on. And to that point, it’s worth noting that there’s a lengthy backstory here, dealing with national security and, in particular, cyber-security. Critical infrastructure keeps our food fresh, our houses warm, our trade flowing, and our citizens productive and safe. The vulnerability of U.S. critical infrastructure to cyber, physical, and electromagnetic attacks means that adversaries could disrupt military command and control, banking and financial operations, the electrical grid, and means of communication. Federal networks also face threats. These networks allow government agencies to carry out vital functions and provide services to the American people. The government must do a better job of protecting data to safeguard information and the privacy of the American people. Our Federal networks must be modernized and updated. In other words, the Trump administration was being mindful of the threats we have faced from foreign hacking — including the hacking of public entities, such as the Office of Personnel Management in 2015, as well as of private entities, such as Sony Pictures in 2014 — and we will surely continue to face these threats in the future. 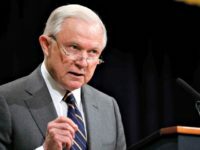 Then, on January 28, we learned of a draft proposal that leaked out of the National Security Council (NSC), calling for a partially government-run 5G network. The idea was that the government would build it, make sure it was secure, and then lease it back to the phone companies, as well as other users. As we outlined in our National Security Strategy . . . we discussed the need for a secure network. Right now we’re in the very earliest stages of the conversations. There have been absolutely no decisions on what that would look like, what role anyone would play in it, simply the need for a secure network. That is the only part of the conversation we are up to right now. In the meantime, in the first half of 2018, the phone companies continued pushing ahead with their private 5G plans. And in May, Commerce Secretary Wilbur Ross emphasized the Trump administration’s support for privately built 5G. So now, in June, where are we? 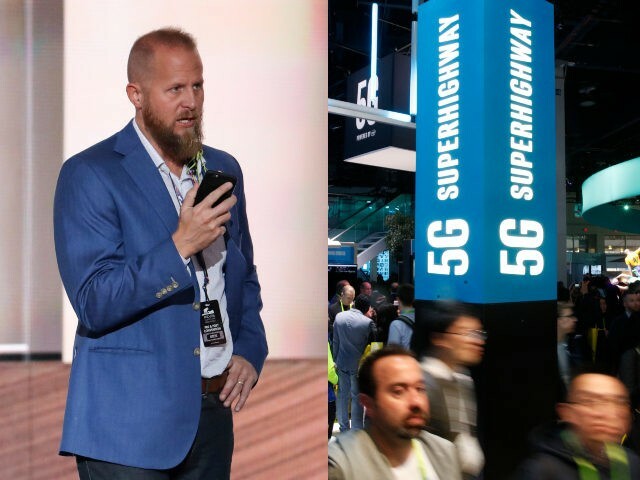 Does Parscale’s June 6 tweet have any bearing on the ongoing 5G-ing? Can the tweet usefully linked to that NSC leak in January? First, the President’s national security adviser in January is not the same as the national security adviser today; as we know, in April, H.R. McMaster was replaced by John Bolton. In fact, Bolton has made may changes in the NSC staff, and so it’s impossible to know whether the anonymous author of that draft document is still even on the job. Second, we’ve learned a lot—an awful lot—about the tech companies. Most spectacularly, we’ve learned much about Facebook; it seems that each new day brings some new revelation about Facebook’s vulnerability to hacking and manipulation. Moreover, every day brings some new revelation about our vulnerability to Facebook. These days, Facebook is the most obvious — some would say, most egregious — of the tech companies, but all the others seem also to be culpable, or vulnerable, or both. In other words, it’s time to take cyber-security seriously. And that means that we can’t continue to assume that the Tech Lords have our best interests at heart, or even that they know what they’re doing. Yes, they’re brainiacs, but they’re competing against brainiacs from around the world — some of whom think of what they’re doing as outright spying, even fighting, as opposed to just economically competing. In the meantime, the rest of us mere mortals can’t have our economy, or our national security, continually threatened by all these hacks and hackers. The greatest danger, of course, is China. Of all the hackers in the world, the Chinese hackers are the only ones bolstered by a giant economy, massive national tech know-how, and, yes, a military boasting lots of nuclear weapons. The Trump administration estimates that Chinese intellectual property theft costs the U.S. as much as $600 billion a year. Indeed, we know for a fact that China has a systematically aggressive cyber-hacking unit within its military; maybe that’s why some of that country’s best weapons seem to be copycats of America’s best weapons from a few years before. China’s latest tech victory was reported just this month; the People’s Republic stole 614 gigabytes of data from a U.S. Navy contractor. So as we think about 5G — and then, beyond that, 6G, and 7G, and so on — it behooves us to think more comprehensively about tech than we have in the past. Specifically, we can lay out three objectives for 5G and, by extension, all our cyber technology: We want it to be the best, we want it be at the lowest possible price, and we want it be fully secure. Obviously that’s an idealized wishlist — who doesn’t want it all? Okay, so now, in the real world, we have to begin asking: What are the actual possibilities? What are the trade-offs between quality, price, and security? We might reasonably conclude, for example, that the private sector knows how to maximize quality and price; entrepreneurs are great at getting things done, and competition pushes down prices. Yet at the same time, in their pell-mell rush to maximize their bottom line, entrepreneurs have a way of cutting corners on safety and security; that’s a lesson that we’ve learned again, the hard way, in the last six months. Moreover, no private company seems able to withstand the full onslaught of foreign hackers financed by rival governments. So it seems that, here in the U.S., the cyber-security component of 5G — and everything else tech — will have to be stipulated, even mandated—that is, baked into the tech cake at the behest of the Pentagon and the rest of the U.S. government. Some will call that nanny-statism, and others will call it cronyism, but most will call it, simply, national security. The Internet is no longer a would-be utopian community. Nor is it anymore the gee-whiz place for geeks to get rich. Instead, the Internet is now at the heart of our country — and we don’t want to lose our country. So how do we do that? How do we balance the need for security against hackers with the need for economic efficiency? How we do we balance the need for transparency in politics with the right of personal privacy? And just as important, how do we keep the national security apparatus, which some have come to think of as a menacing Deep State — and which Virgil first wrote about on December 12, 2016 — from impinging upon our rights and liberties and politics? These are all important questions, all requiring the attention of an active citizenry, mindful of what’s happening to their country. 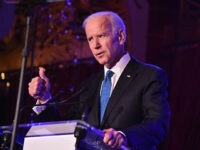 For his part, Brad Parscale has ventured into this debate with his security-minded take on 5G; we don’t have to think he has the right answer to think, nonetheless, that he’s made a contribution to finding the right answer. 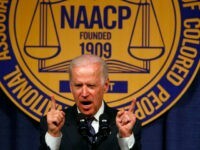 So now we have to see how many other citizens are willing to bone up, and weigh in, on these topics. Understanding 5G and cyber-security is a daunting challenge, to be sure, coming as it does on top of all the other weighty public-policy issues, as well as on top of all the other private and personal concerns that people have, from family to jobs to simply living life. And now, in many ways, it’s high noon.